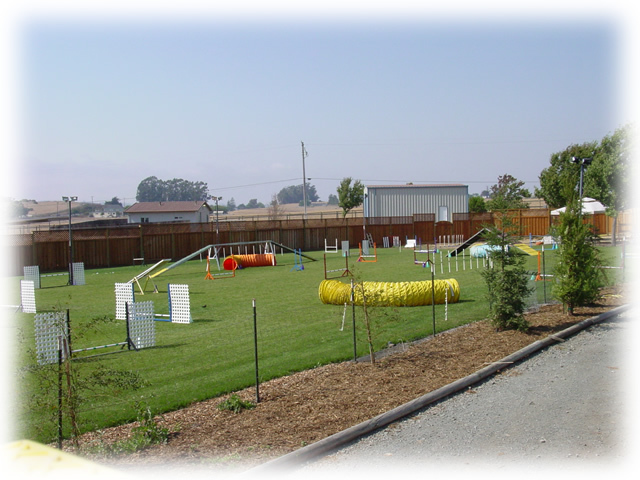 LeapDog Agility is a private facility with two large training rings. of the surrounding hills and pastures. Our grass training field is approximately 150' x 120'. During the winter we use our 130' x 70' horse arena on days when the grass is too wet.